Guardian Industries has been producing some of the world’s most progressive glazing solutions for more than 80 years. Their path forward throughout the years has remained consistent: innovate, evolve, resolve, and deliver. One of the products we at Vitrum Glass Group are most excited about right now is Guardian’s AG 43. This sleek and seductive coating provides the benefit of a tint without the requirement for one. Its beautiful, muted, light silver color provides low-to-medium reflectivity (dependent on substrate) and is an optimal selection for the Pacific North West region. It allows high visible light transmission while greatly reducing glare for the comfort and productivity of occupants. Its low solar heat control properties allow for dramatic reduction in energy consumption that will help meet or exceed local and regional building energy codes. 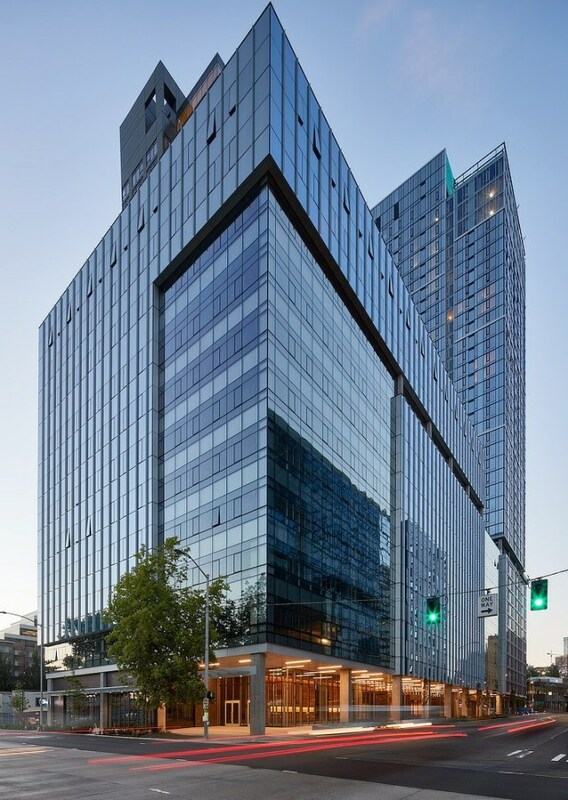 Vitrum Glass Group was proud to supply AG 43 to Walters and Wolf for installation at the award-winning Tilt 49 commercial building in Seattle. This mixed-use project was designed by ZGF architects and incorporates many environmental and healthy-occupant initiatives, including circadian lighting and extensive daylighting. As energy codes progressively become more stringent, we are confident that Guardian will continue to provide sophisticated and leading-edge technologies to help architects achieve their energy goals without sacrificing daylight or design aesthetics.